The quaint building of the tabi socks retailer, Oonoya, still stands on the corner of Miharabashi intersection closest to Shimbashi. Two or three buildings away on Showa-dori, in the direction of Kyobashi we can still find a small two-story building, which is home to Nair’s Restaurant, an Indian restaurant. I had not dined with them for almost ten years, but I was granted the opportunity to interview Mr. G. M. Nair in person. When I arrived at 5 o’ clock in the evening, as proposed, the first floor was already almost full, as they do not take a break between lunchtime and dinnertime. The man sitting in the chair beside the kitchen, observing the customers, must be Rajan, the experienced waiter who walked around instructing everyone to “mix and eat” in the 1980s. I was guided to the second floor and after a while, Mr. G.M. came up. Also an active figure in the world of entertainment, Mr. G.M. has been particularly knowledgeable of Kiyomoto music of the kabuki theater from when he was young, and he goes to these lessons not as a student but as a teacher. I will write this article based on my interview with Mr. G.M., who talks very fluently and hastily, with reference to his biography, The Story of Nair’s Restaurant in Ginza (by Jinsuke Mizuno), which I have been granted permission to refer to. The restaurant was founded in 1949 (Showa 24), in the postwar period, so it must have been around when the Sanjikken Horikawa River was buried (for the purpose of disposing of the debris remaining from the air raids). Born during the war, in 1944, Mr. G.M would have been only five years old, and yet, he recalls the scenery of the surrounding area. Some GHQ facilities like the PX, which were housed in the Wako building or Matsuya building, were located in the center of Ginza, but with the U.S. Military hospital and a large laundry factory located in the area where the National Cancer Center currently stands, it is not surprising that GIs wandered about in this part of Ginza in those days. After graduating from Kyoto University, Mr. A. M. taught at a university in Manchuria and returned to Japan before the war ended. With the Indian independence in 1947, he lost one of his goals in life. He started the Indian restaurant as a means to feed his family for the time being. One would think that Mr. A. M. had always had a talent for cooking, but he was actually indifferent about food, and his wife, Yukuko, whom he married in Manchuria, was in charge of the kitchen. Yukuko-san had learned how to cook Indian curry from their Indian neighbors in Manchuria. When the restaurant first opened, Japan was still occupied by the U.S., and most of their customers were G.I.s from the GHQ. Given his anti-British sentiment, Mr. A. M. must have had mixed feelings about the diners. The restaurant’s most popular Murugi Lunch is a type of chicken curry using relatively tough and bony Japanese chicken. The curry is served with boiled cabbage and potatoes on same plate. It was Mr. A. M. who first began to encourage diners to “mix and eat.” While he cared little about food, something must have sparked. The Nair family lived not in Ginza, but in Bunkyo-ku, in the area which is currently is Honkomagome. As a boy, Mr. G. M. started school at an elementary school for elites – the affiliated elementary school under the Tokyo University of Education (currently, the University of Tsukuba). 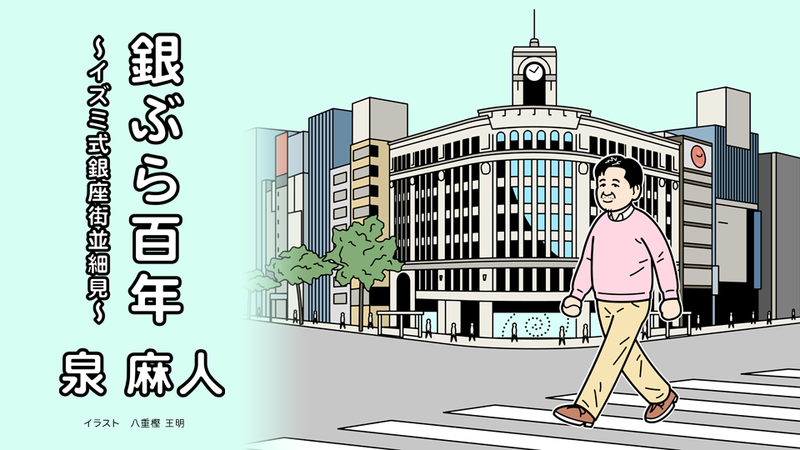 Yukuko-san decided where to live by drawing a line on the map to locate the area equidistant from the University of Tokyo and Mr. G. M.’s school (although Honkomagome is located slightly to the north), so finding the ideal educational environment for their son must have been an important factor of their decision. With an alumnus of Kyoto University as his father and an academic scholar as his grandfather, Mr. G. M. had been born into a family of intellectuals. One would assume that Mr. G. M. answered his parents expectations and studied at the University of Tokyo, but he chose to go to Tokyo University of Agriculture (Tokyo Nodai). He met his wife, Mitsuko-san, who was a student of a different school, when he was in university, so his father’s advice turned out to be in the right direction. Mr. G.M. began to help his father’s business from his freshman year at Tokyo Nodai in Setagaya. Might his father have felt like a lion pushing its cub off a cliff and waiting for it to grow up? However, Mr. A. M. was strongly opposed to his son’s decision when Mr. G. M. expressed his intensions to take over the restaurant after graduation, as he had learned the business in four years. His father was undecided. A collection of colorful tailored shirts! Granted permission to run the restaurant, the second-generation owner was significantly different from his father in terms of his insatiable curiosity about food. A few years after he started to work at the restaurant, in 1970, he was given the opportunity to work as an intern at the Indian pavilion at the Osaka Expo. He paid some money out his own pocket (1000 or 2000 yen) to a senior chef who refused to share his recipe, in order to thoroughly learn the basics of Indian cuisine. The restaurant in Ginza became successful in the 1970s and 1980’s, developing into a popular destination for tourists as well. The entertaining spirit of Mr. G. M. contributed significantly to the growth of the restaurant into a major spot in Ginza, as he was eager to appear in the media. He also has a “hobby” of a different taste from Kiyomoto and the world of the performing arts. He admires the police and their work. His enthusiasm is not one of fandom, as he does not fancy police uniforms and cars, but one rooted in his sense of justice, comparable to his father’s support for patriotic campaigns in India. Around twenty years ago, in May 1997, Nair’s Restaurant fell victim to fire, and they rebuilt the building with the help of an old friend in the police. Fire broke out in the house next door, and the restaurant was completely burnt down, with the exception of one pillar. Given the restaurant’s high-end location in Ginza, it was cornered by hyena-like agents waiting for an opportunity to get hold of the land. Mr. G. M. was helped by his policeman friend in dealing with hard-boiled groups, successfully purchasing surface rights to the land and constructing another two-story building in the name of “refurbishment”. If it had not been for the fire, or if the negotiations for surface rights had ended in failure, then the restaurant would most likely have been turned into a high-rise building. The pillar that survived the fire still remains somewhere in the new building. An Indian landscape hangs on the second floor, where the interview was held. The painting, titled “Krishna and Cowherd Women Gopis” is a work of Karyo Chiba. The painted is staged in the countryside along the Ganges River and when you look closely, the woman in the center holds the famous Murugi Lunch, with Mr. A. M., Mr. G. M. and his son Yoshiki-san, as a small boy, standing on her right. I was not surprised that Mr. A. M. was drawn holding the Indian flag but burst out laughing to find Mr. G. M. with a police notebook in his hand. The rough spots can go unnoticed unless they are pointed out. I got the impression that Mr. G. M. cherished this “incomplete” part of the painting. Ginza×銀ぶら百年 Vol.14 It’s summer! Beer! The LION!